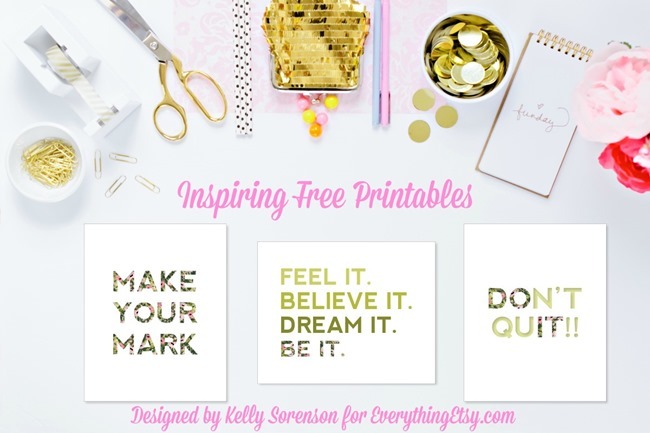 Looking for a few inspiring free printables to decorate your home, craft room or office? You will go crazy over these beautiful designs by Kelly Sorenson! 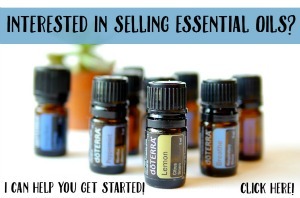 What’s not to love about something this pretty…that’s free??? 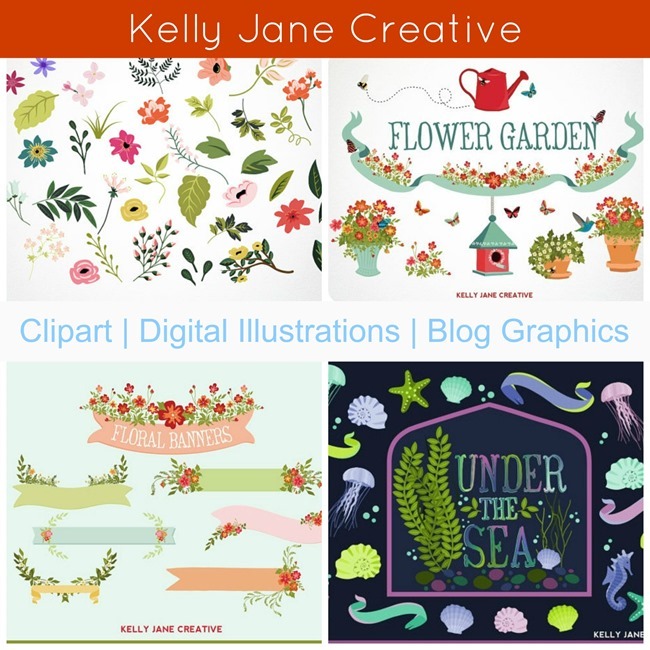 Kelly has an Etsy shop, Kelly Jane Creative, full of great digital prints, clip art and blog graphics. I love the printables she’s sharing with us today! 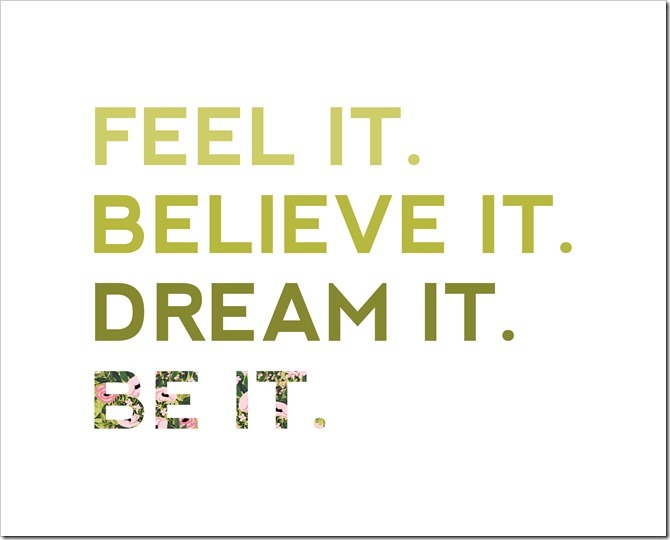 These simple and chic prints will brighten up any room, and inspire you to reach your goals! I can’t get enough inspiration, and I’m planning to put these right on my desk! 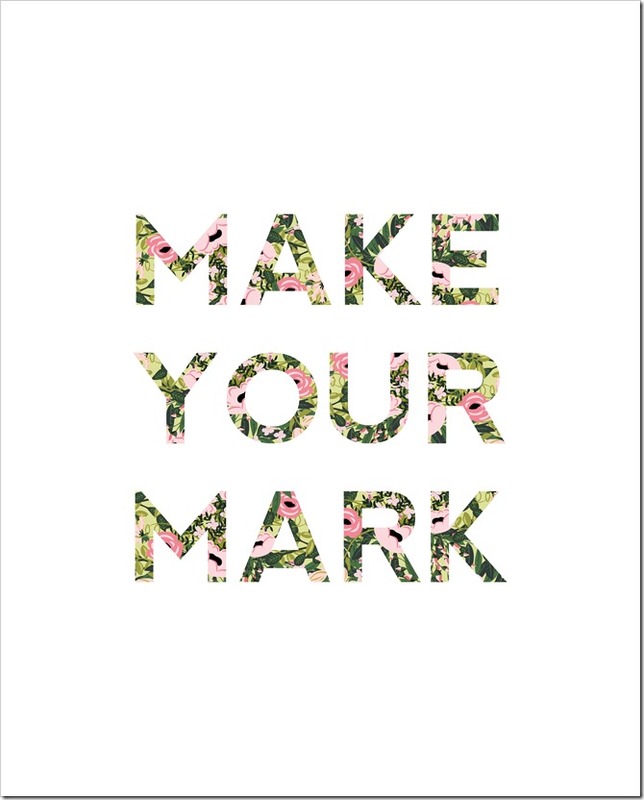 Make Your Mark Print – Download Here! Be It Print – Download Here! 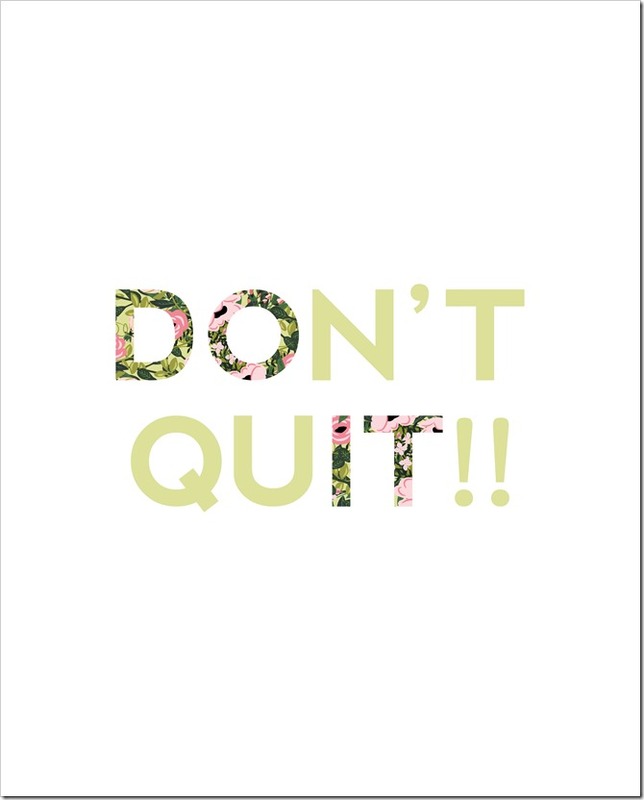 Don’t Quit Print – Download Here! 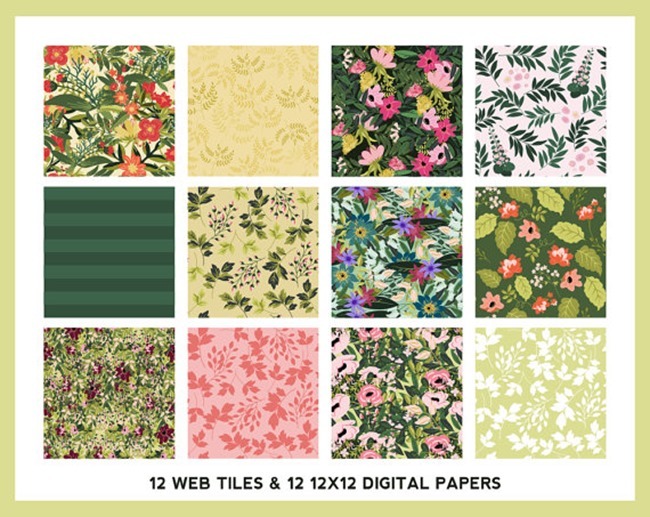 These pretty floral seamless patterns were used to make these free printables. Think of all the lovely things you could create with them! Right now Kelly Jane Creative is having a Christmas is July sale you won’t want to miss! 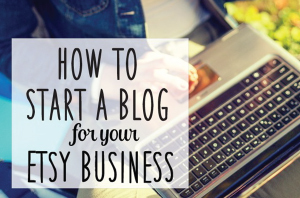 Keep up with the latest specials by following Kelly on Facebook & Twitter. Create your own printables with a little help from Kelly Jane Creatives, or just make the best party invitations in the neighborhood! I hope you enjoy these inspiring free printables as much as I do! Looking for a few more printables…check out this post with 101 Free Printables or visit our gallery! These are just beautiful – I love all of her work. Thanks for sharing. Oh these are awesome! I think I may need one for my craft room! Thanks for sharing!